Spotted these on the way home today. Saw this at the local mechanic. Miss my old track beater at Flugplatz. Need to get this crap E46 taken care of. One of the best purples....yes it’s a re-post but wagon content should be excepted. 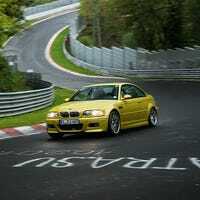 A while ago I purchased a project E46 M3 to tinker on and either flip or go full track car. It’s SMG and the plan was to drive it until that system failed and convert to manual. Another wild CL find....who's feeling crazy? Whilst watching Days of Thunder I noticed a unique Strosek wide-body 928. Never seen one before, wild styling. Sooooooo 80s. Not to the “inverted” class yet. Not sure how many have seen but Joel Hodgeson, the original host and mastermind of Mystery Science Theater 3000 has a Kickstarter campaign to raise capital for a new series. Went to a small meetup this morning. Nice turnout, hadn’t seen a first (second? )gen Viper up close in ages! I wanted to bring the M4 but my oldest son (3) insisted we bring the E90M today. Americans bring the strangest things over here to drive. So...so much beige. .....but this absolutely deserves a repost. Enjoy the F1 weekend everyone. So Jenson Button is braced for a “very difficult” time in Mexico this weekend. Who else do we think is going to struggle? I’ve never seen, or maybe never noticed, the two latest Mustang gens directly next to each other. The 2015 is a great looking car, very modern in comparison to the previous gen. They were the same color so that was kind of cool.